The birth of a new child is often the greatest blessing a family will ever experience; a time for joy and celebration. Unfortunately, many families find themselves left with heartbreak and confusion on the day of their child’s birth when preventable birth injuries threaten the health and safety of their tiny loved ones. A 2009 study by the Centers for Disease Control and Prevention found that over the last decade, childbirth emergencies during delivery have increased by 75%, while post-delivery complications over the same time period have more than doubled. In fact, a staggering 52,000 women are affected each year by severe birth complications. While some of those complications are sadly unavoidable, many are entirely preventable. When doctors, nurses and hospital staff members fail to take proper precautions and follow established procedures, the life and well-being of the child are put on the line. Small mistakes made at this crucial point in a child’s life can lead to severe long-term consequences for both the child and the mother. Our San Antonio Birth Injury Lawyer, Justin Hill, is here to answer any questions you might have regarding medical negligence during the delivery of your child. What Can Go Wrong During Birth? These errors and many others can cause injuries that require medical care for the rest of the child’s life. These errors can also kill. If your child was seriously injured or tragically killed during birth, contact the dedicated San Antonio birth injury attorney at Hill Law Firm today. There are many things that can go wrong during the birth of a child. This is why it is extremely important that doctors are well trained, procedures are in place and followed, and that everyone involved in the delivery process is fully informed and engaged during the delivery. Unfortunately, sometimes, negligence occurs by doctors, nurses, or others that can cause injuries to a baby during childbirth. Sometimes, these injuries require a lifetime of medical care to treat the injuries caused by medical negligence. The San Antonio, Texas Childbirth Injury Lawyer at Hill Law Firm has seen many injuries caused by medical negligence during delivery. Some of the more common birthing injuries are discussed below. Cerebral palsy is a disorder of movement, muscle tone or posture often caused by injury to the brain during or before birth. A series of tests are needed to properly diagnose cerebral palsy, which typically consists of brain scans, electroencephalograms, vision and hearing tests, and blood tests. Spastic cerebral palsy – Accounting for about 80% of all cerebral palsy cases, spastic cerebral palsy is characterized by stiffness and difficulty moving, due to tightness in one or more muscle groups. Patients with this type of cerebral palsy have a hard time moving from one position to another and have difficulty holding onto and letting go of objects. Athetoid cerebral palsy – About 10% of cerebral palsy cases are of this type. Athetoid cerebral palsy is typified by involuntary movement, slurred speech, difficulty swallowing, inability to maintain posture, and low muscle tone. Ataxic cerebral palsy – Also accounting for about 10% of cerebral palsy cases, symptoms of ataxic cerebral palsy include depth perception problems, distorted sense of balance, tremors, and difficulty with coordinated muscle movements. Dystocia is characterized as abnormally difficult childbirth or labor and is one of the most common birthing complications in America today. Shoulder dystocia cases tend to represent the greatest risk to the child’s health. 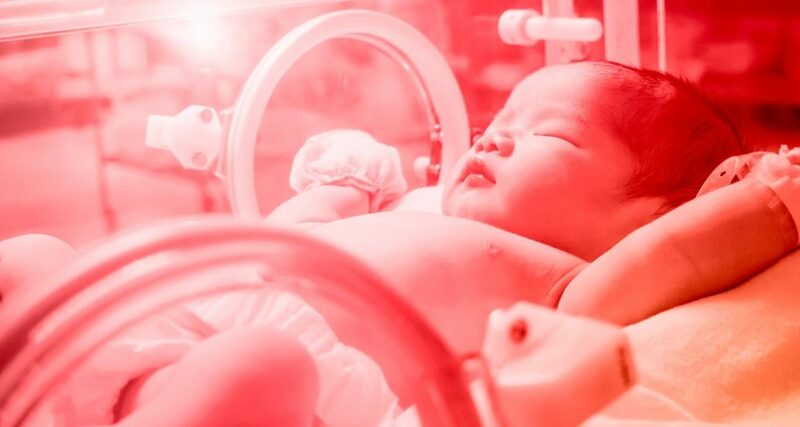 In these cases, a child’s shoulders get stuck inside the mother’s birth canal during natural birth, which results in a much slower and more dangerous delivery. With proper precautions and well-trained medical professionals, a safe delivery can usually be made despite the condition. However, even slight negligence on the part of the caretakers can result in serious injuries and complications for both mother and baby. Clavicle Fractures – these are the most common type of birthing fracture and affect the collarbone, which connects the chest to the shoulder. Femur Fractures – fractures of the femur (thigh bone) can occur when the leg is twisted unnecessarily during delivery. Though less common than clavicle fractures, these still represent a large number of birthing injuries. Brachial Plexus Injuries (Erb’s Palsy) – though not technically a fracture, a child suffering from a brachial plexus injury may present symptoms which appear similar to a broken arm. In these cases, the group of nerves which travels from the neck down to the arm is stretched when the head is pulled in one direction and one arm is pulled in another, resulting in severe weakness in one arm. Temporary or permanent paralysis may occur as a result of childbirth for a variety of reasons. Extreme care must be taken particularly when administering anesthesia drugs in the form of an epidural. During the epidural procedure, a needle is inserted into the mother’s spinal column into an area directly surrounding the spinal cord, spinal nerve roots, and spinal fluid. Medication is then injected into the area to desensitize the nerves and provide for a less painful delivery. However, if the needle is not carefully put in place, severe nerve damage may occur resulting in paralysis. Injury lawsuits are complex – they can be emotionally and financially draining – You need a dedicated attorney on your side who will provide aggressive representation for your rights. If your child was born with one of the injuries above due to medical negligence, you might be eligible for compensation. Call our San Antonio personal injury lawyers today for questions or a free case evaluation, 210-960-3939.